An event entitled 'Regenerative Medicine: From Biology to Therapy'will take place from 30 October to 1 November 2013 in Cambridge, UK. 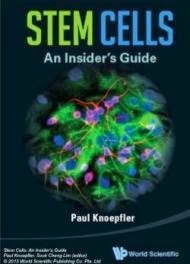 Few topics in contemporary medicine have attracted more attention than stem cells and their potential for enabling the discovery of new regenerative therapies. The conference will look at biology that underpins the success or failure of regeneration, and will clarify the relationship between stem cell biology and regenerative biology so that both can be fully exploited to treat disease. The event will be an opportunity for scientists involved in developmental and regenerative biology, stem cell research, translational medicine or clinical trials to discuss some of their latest findings. For further information about the event including fees and featured speakers please click here.